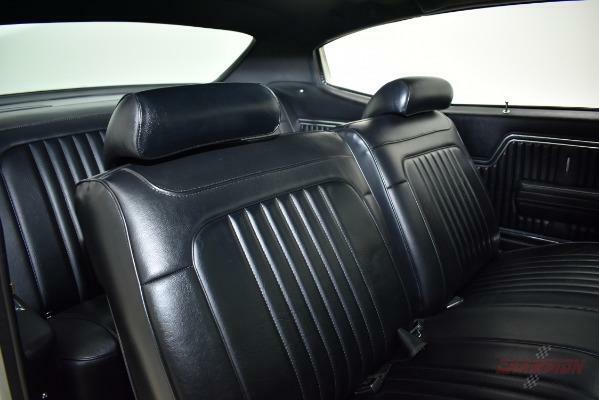 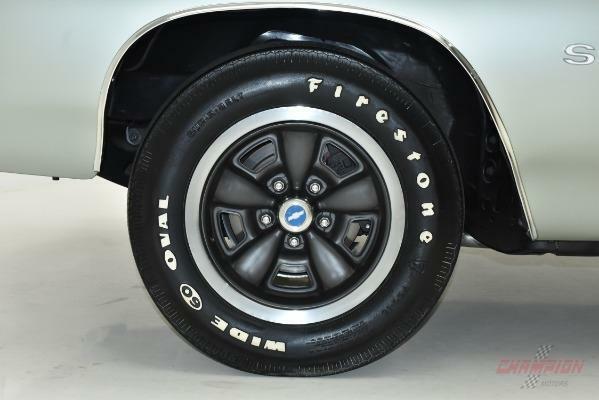 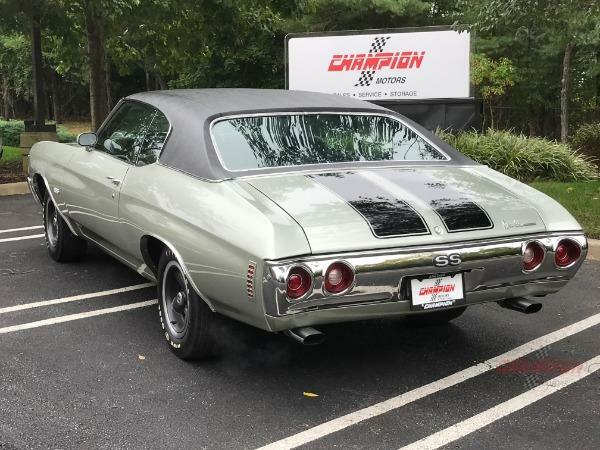 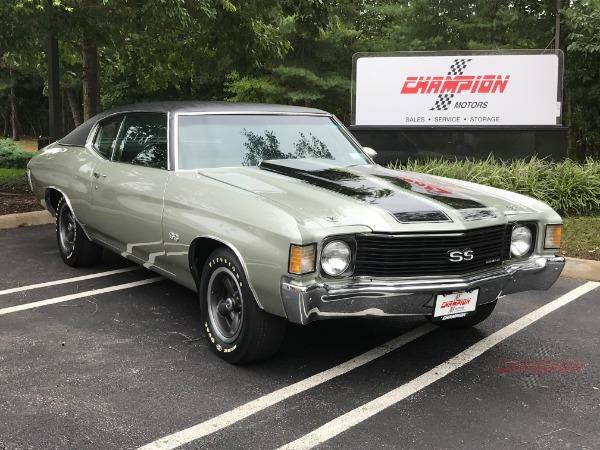 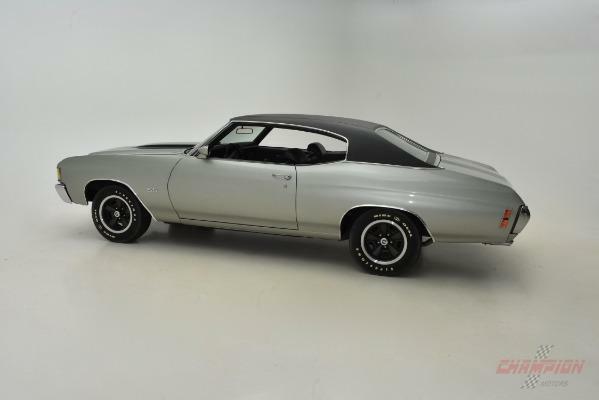 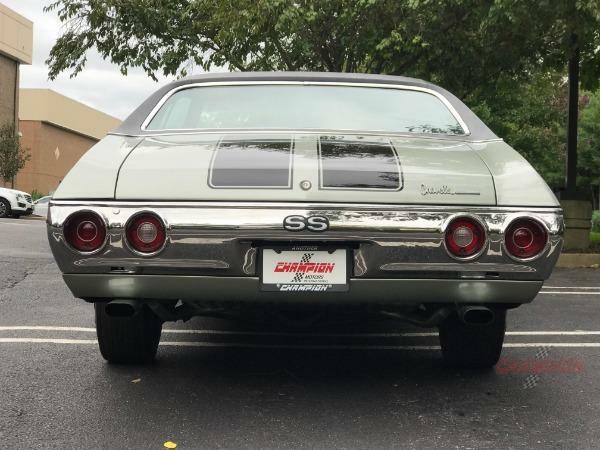 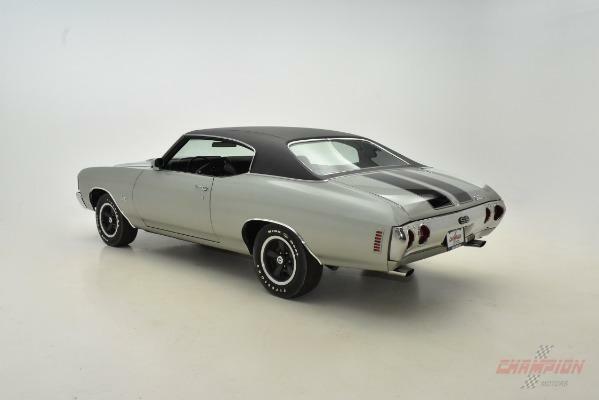 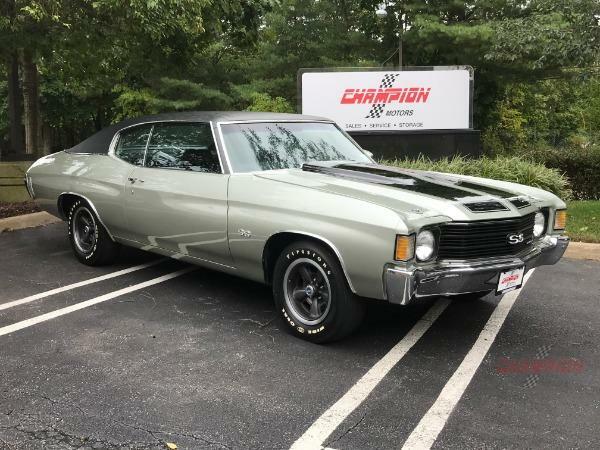 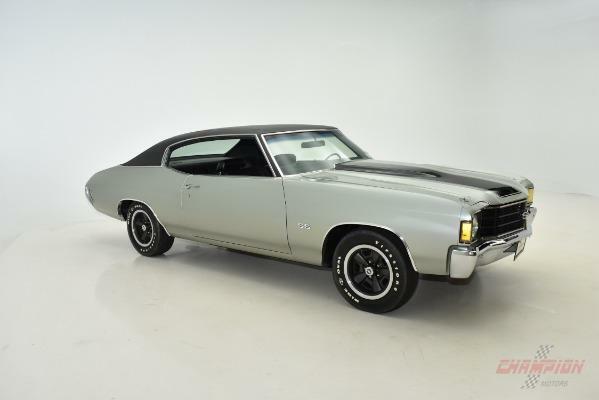 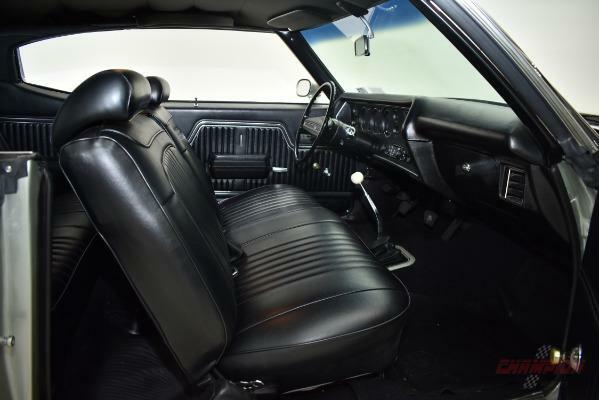 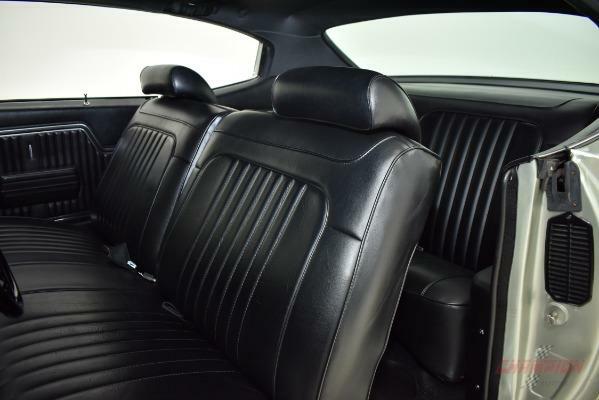 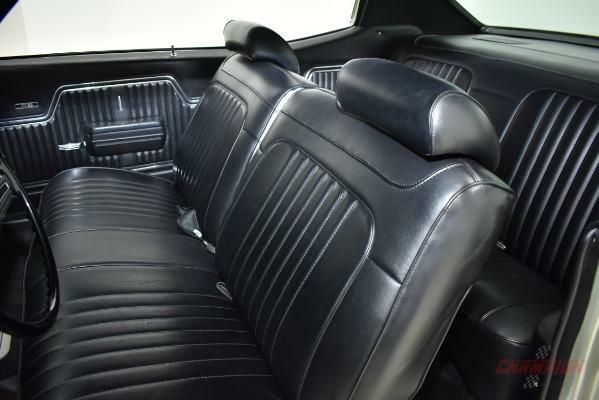 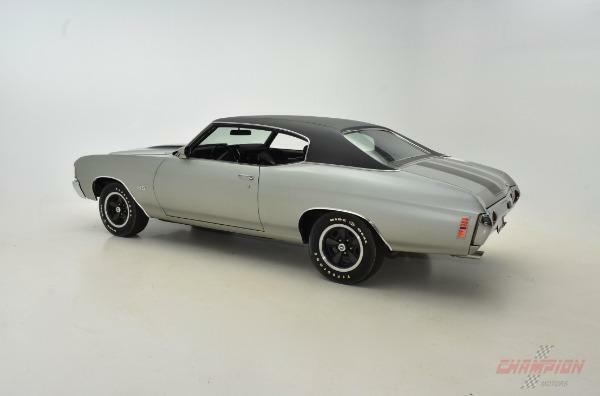 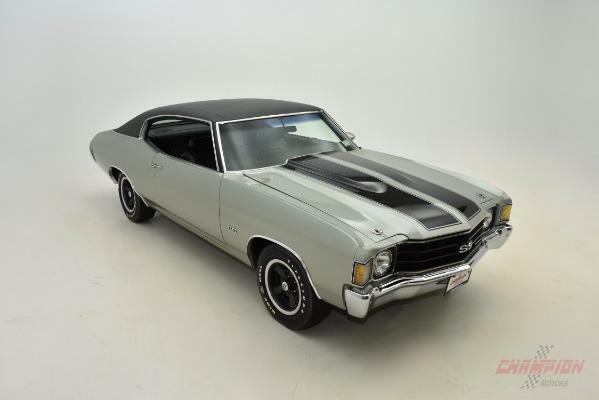 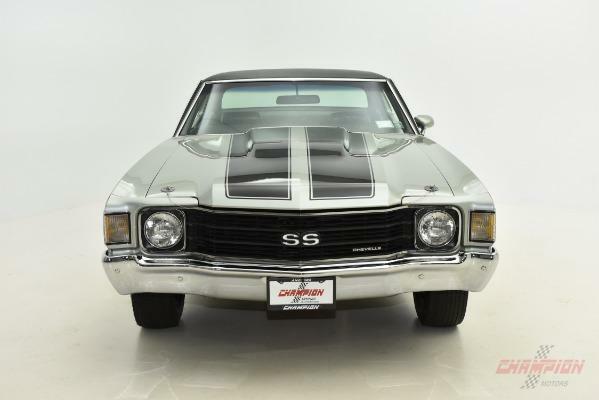 Champion Motors International is proud to present a fantastic 1972 Chevrolet Chevelle SS finished in Pewter Silver with a Black vinyl interior, black racing stripes and a black vinyl top. 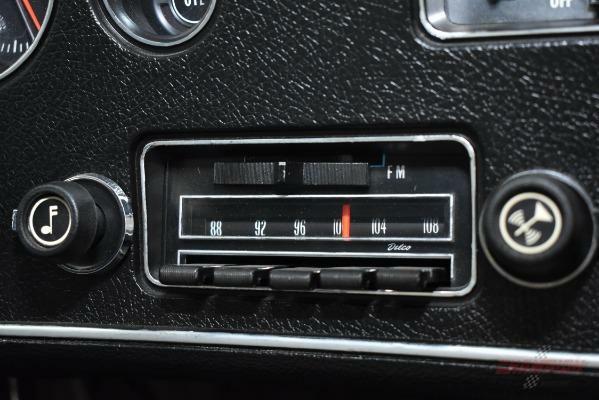 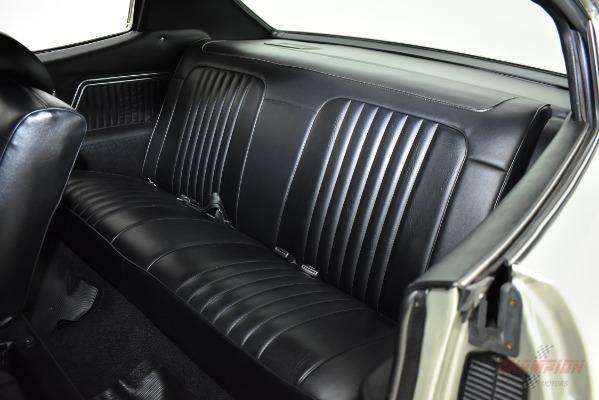 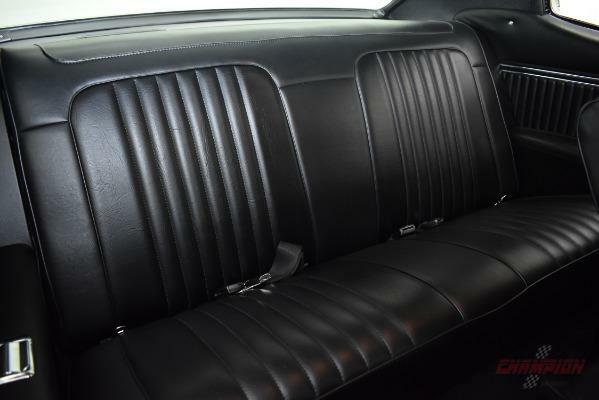 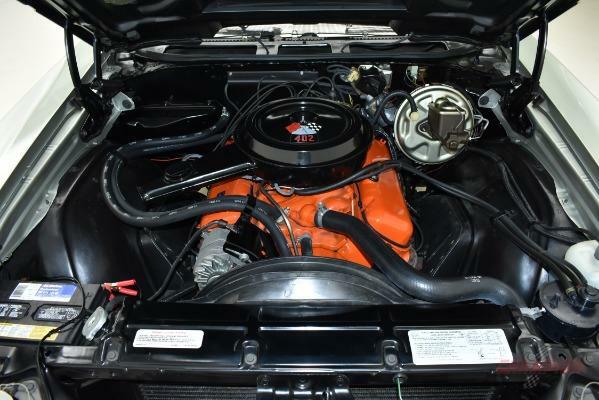 The odometer shows 60,114 miles and has been the recipient of a nicely done body-off restoration. 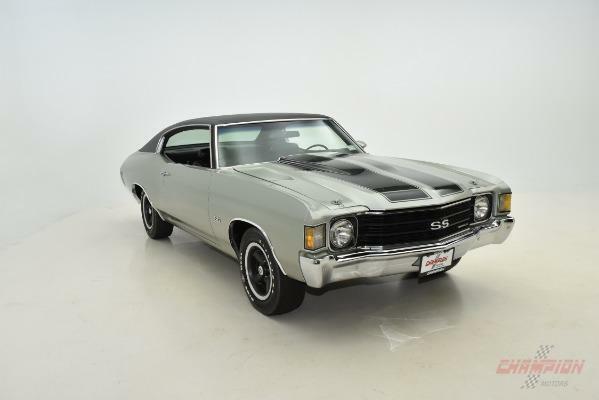 This Chevelle has a matching numbers big block 402, 4 speed manual transmission and a matching rear as well. 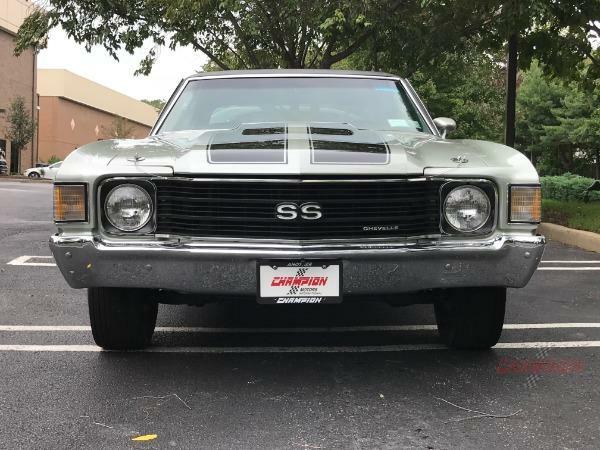 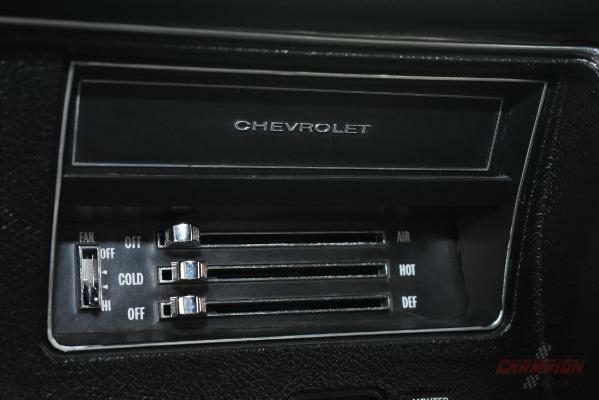 Options on this Chevelle include Soft-ray tinted glass, Vinyl roof cover, Posi-traction rear axle, Turbo-jet 400 V8, 4-speed wide-ratio transmission, Power steering, Electric clock, Push-button control radio, Auxiliary rear speaker and SS Equipment, which includes Domed hood, Black accented grill, Power brakes, 15x7 Sport wheels, Sport suspension, Astro ventilation, Belt reminder, Shoulder belts, Lighter, Luggage compartment mat, and more. 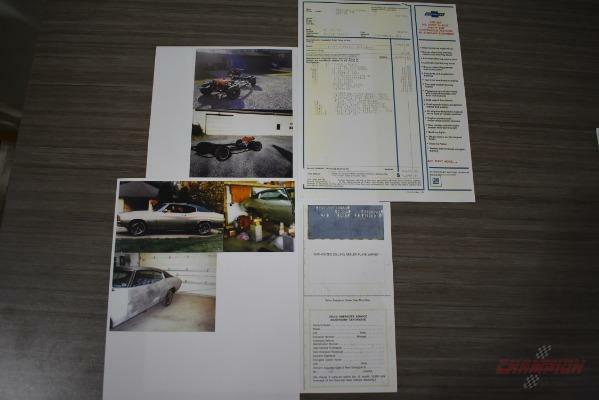 This sale includes the original window sticker, original owners manual, original photo from when car was purchased new, photos of restoration, protect-o-plate in the original postmarked envelope, dealer undercoating tag, visor seat-belt card, and purchase contract with trade-in info. 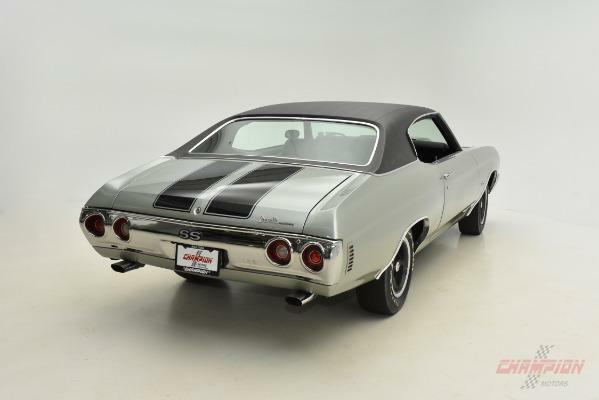 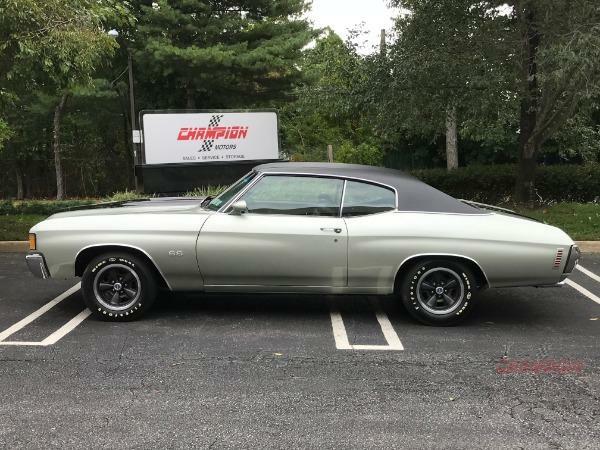 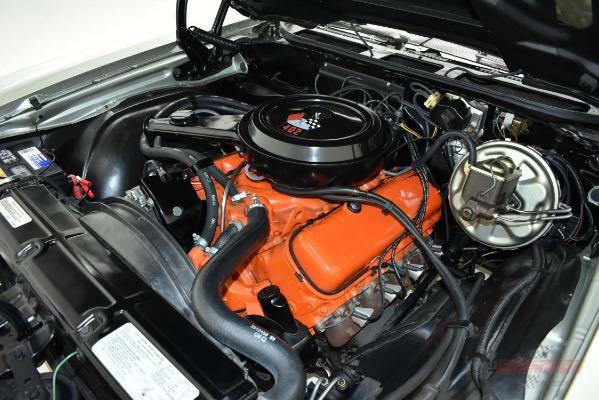 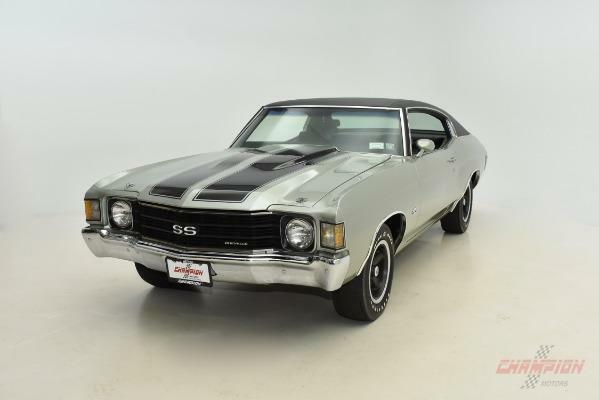 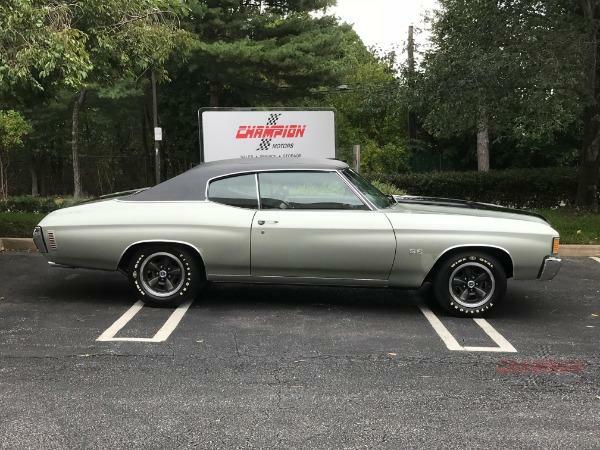 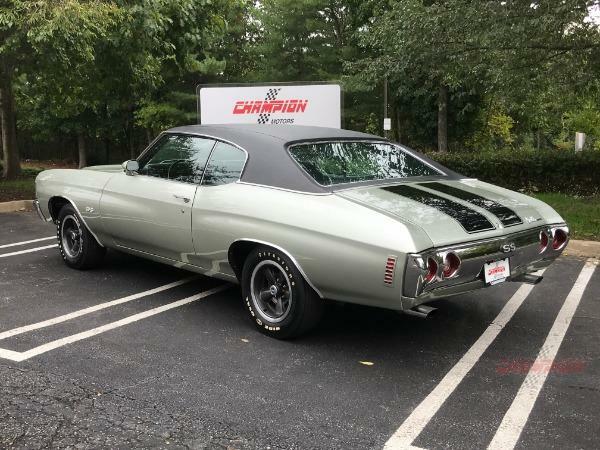 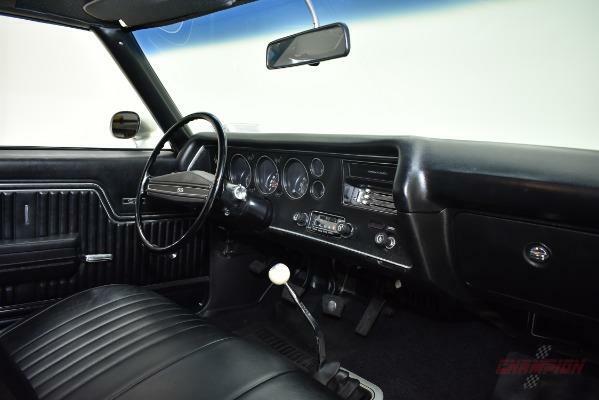 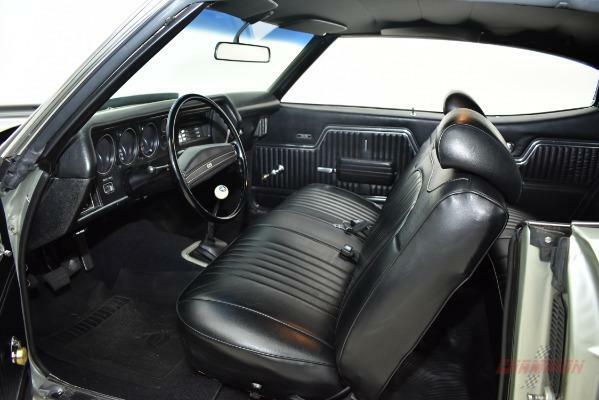 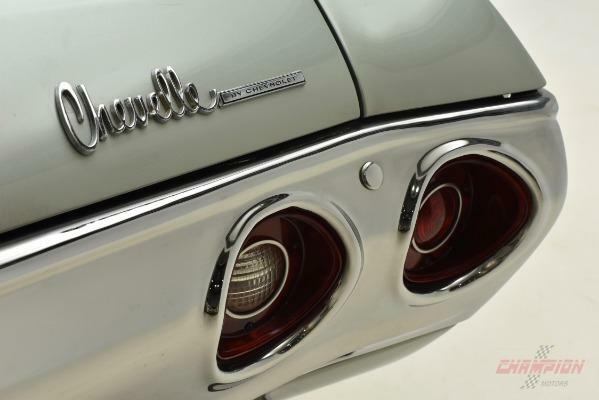 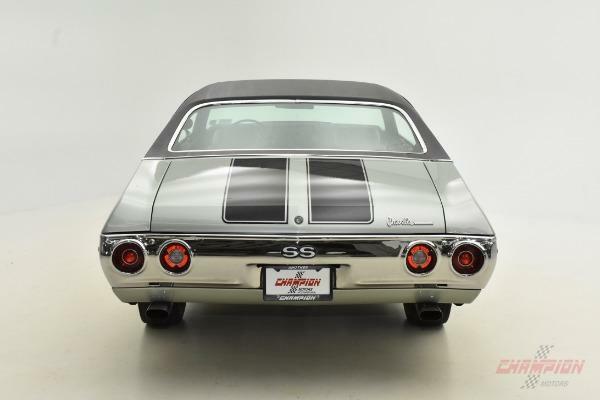 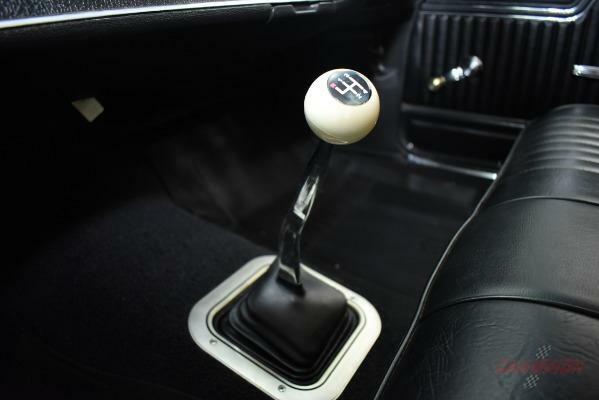 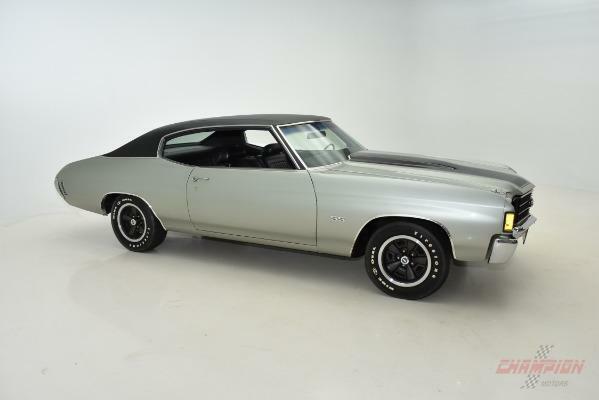 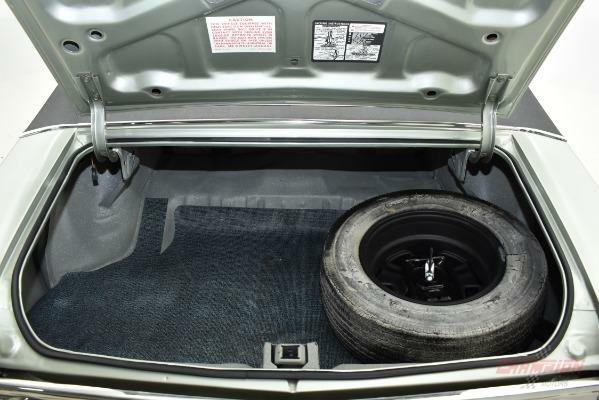 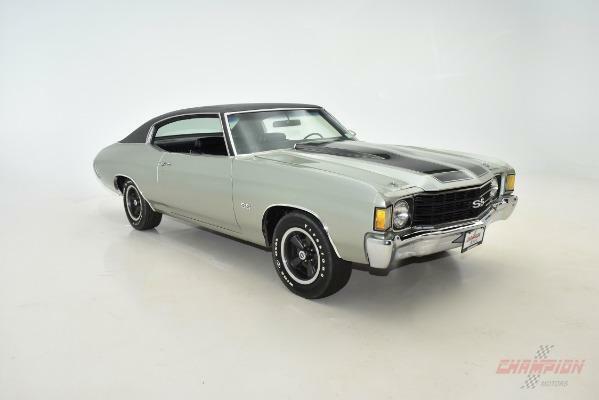 This is a wonderful investment-grade Chevelle that the next owner will be proud to drive or show.